Comments: Although it has yellow flowers in fall, it is grown for its beautiful veriegated foliage that is present in spring and summer. 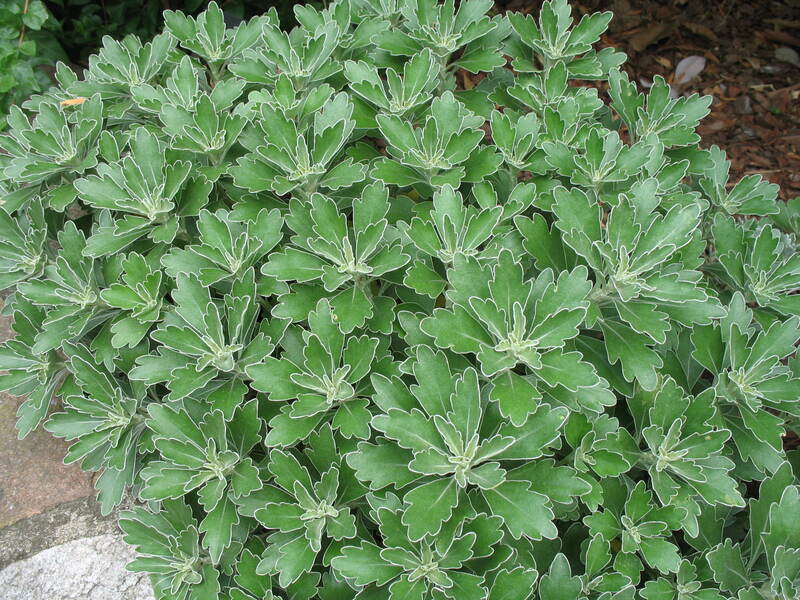 Makes a mound of striking foliage during the summer months. An excellent perennial for full sunlight and well drained soils. Performs well in garden among large stones.